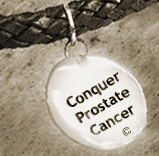 Prostate cancer treatment and awareness is my chief concern at this blog. But like most of us I've got a whole range of other concerns on my mind. One such concern is pondering the plight of humanity due to natural disasters. Right now one of the world's greatest disaster zones is Haiti, where a few days ago an estimated 50,000 people died in minutes due to a massive earthquake that was totally unexpected. That's about twice the number of American men (27,000) who die of prostate cancer in any year. In reviewing these statistics a couple of weeks later, the latest estimate of those who died in the Haiti earthquake grew closer to 150,000. That's about six times the number of Americans who die of prostate cancer every year. This should give us pause to reflect further on the enormity of this gargantuan natural disaster. "As people all over the world respond to help the people of Haiti, please remember to Think Like a Black Belt. "Ruthless scumbags are already running scams to exploit your generosity. If you truly want to help, use your head as well as your heart and make sure your contributions are going somewhere legitimate. "Haiti had a fragile political infrastructure before this disaster and getting aid to those in need has been a problem for years. The situation is further complicated by criminals who steal aid literally out of the hands of the needy, cash, food and medicine. "Larger, more established aid foundations have the muscle and experience to make the most of you donation. Stick to the organizations you know, and check out any others very carefully. If you're donating to a local campaign, make sure that money is going to an organization with full accountability." I'd like to reiterate Jim's closing comment: "Best thoughts to all, especially the people of Haiti and those of you who have friends and families there!" Without a doubt none of us can afford to be one-issue men or women, concerned only with what ails us. The concerns of humanity are our problems too, whether directly or not. After all, in this "vale of tears" ultimately we're all in the same boat!